Halloween has and will always be one of my favorite holidays. I LOVE dressing up and I love making my costume even more. Honestly, I plan my costume a whole year in advance and begin making it in mid June! But this year was different. Although I knew what I wanted to be, my husband did not and next thing I knew I was rushing to come up with something that the both of us could do together. Not an easy task I tell you. My hubby, he’s a picky one. Luckily however, I came up with an idea that he loved… except I didn’t think of it until only three days left till Halloween (everything else I thought of was tossed out of the “options” bucket)! 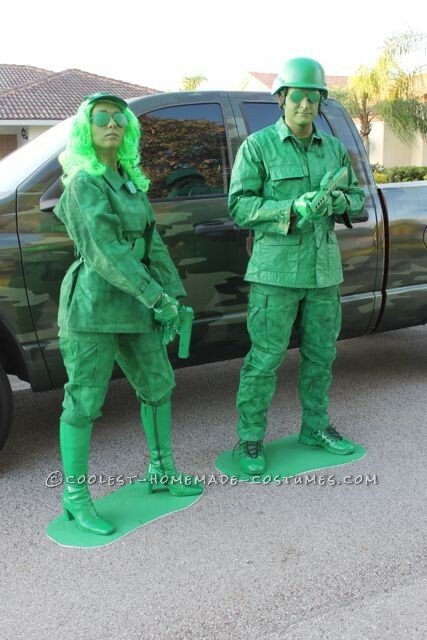 Anyhow, we both agreed to be Green Army Soldiers. I stress the “people” part because hey, Green Army women don’t exist but now they do because I made it happen haha! It was easy (although somewhat time consuming). We took old camo gear that my husband had lying around the house (helmet, pants, jacket, gloves, etc. ), purchased some toy guns at the local thrift store and simply spray painted the heck out of everything! 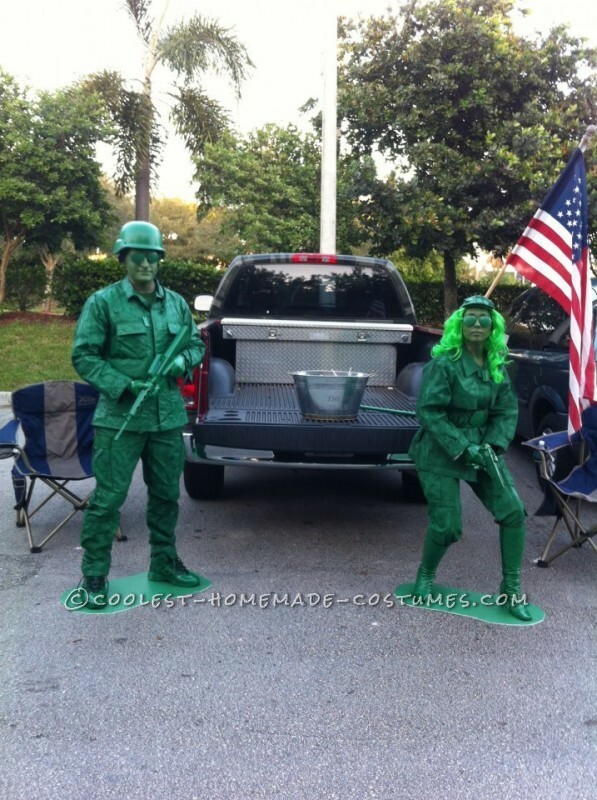 It was a HUGE success and by far one of our favorite costumes ever! How did you make the green puddle by your feet?